This last fall GB and I attended the wedding of our great friends, K & K. This wedding happened to take place in Montego Bay, Jamaica. It was an amazing week full of sun, laughter and love. On our last morning I made sure to grab some sand and shells for a memento. I do this on every beach vacation I take - but I usually never end up doing anything with it. Now - thanks to Pinterest - I have a great project to put that sand to use. I came across this great idea for a vacation shadowbox. This came from designaglow.com. I chose this great photo that GB took. These Jamaican beaches were incredible. I gathered the supplies I thought I would use. I printed out 'Jamaica' in many different fonts on white paper. I would then cut out the letters with my Xacto knife and place the paper over the photo. This then would allow the photo to peek out. Time to get to work! The back of the shadowbox was a felt-like material so I applied a small piece of velcro to the corners of the photo. 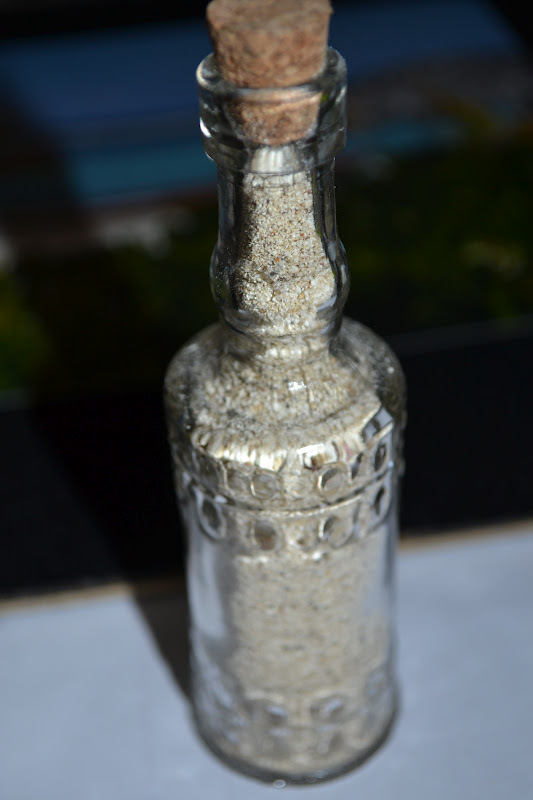 Next I filled a cute small glass jar with Jamaican sand. I bought the jar at Joann's for 1 dollar! I love a good deal. The print outs I had were the wrong size, of course. I tried for awhile to draw the large letters by hand - but of course it looked terrible. So I decided to do something different. I had a small wooden thing-ama-bob and some alphabet stickers. I thought I would do the reverse sticker - paint technique I attempted (and failed) to create in the World's Ugliest Craft post. I then painted over the stickers in white. As it was drying, GB told me he thought since the shadowbox itself was black that the letters match nicely, and I should leave it as is. Surprisingly, I agreed with him. Next I added the Jamaica sign, sand and other vacation mementos. Now- as you look at the final product - don't judge this wall in the bedroom. We will definitely add more to it and fancify our bedroom. Since we already had a shadowbox up celebrating a year in our relationship, we thought this could become a shadowbox wall! 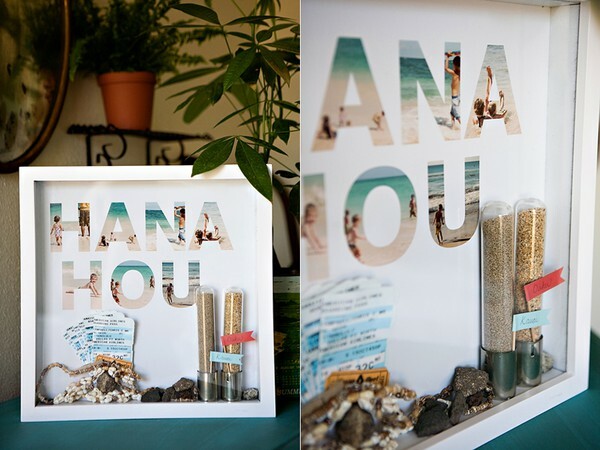 I will try to highlight our other vacations and wonderful events in our life in more frames, art, and shadowboxes soon!